Only a few days have passed since the launch of Apple TV 4 generation on sale, but thousands of customers worldwide have already had to vote for it rouble, the dollar and the yuan. 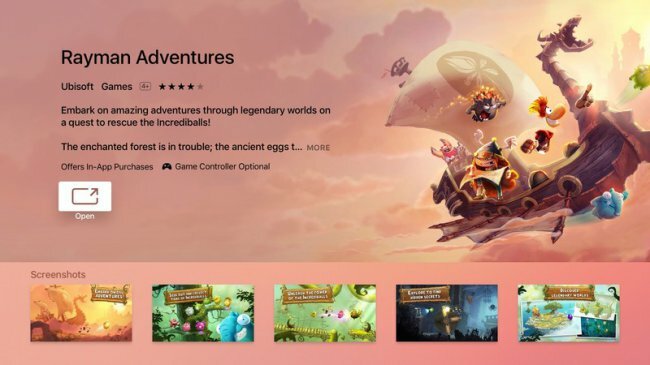 As expected, one of the most popular features of the consoles became their own App Store. Despite the abundance of different kinds of interesting apps, the first place for downloads is, of course, games. It is noteworthy that users are not deterred even by very high price, which is often 4-5 times more than the App Store for iOS. However, the owners of the new consoles are not greedy and happy to post for 599 rubles per game. The most popular title Beat Sport that is controlled using the standard remote with a built-in accelerometer and gyroscope that recognizes the strokes and other movements in space. In second place is Galaxy on Fire, attracting players of excellent drawing and graphics. Among free apps demand the Rayman Adventures, is probably one of those that most users install in the first place. However, only one game interests users is not limited. As suggested in the Apple, streaming video services is also considered to be one of the most downloaded. Unfortunately, the Russian section of the App Store are nothing to boast about, but it is expected that in a short time, the domestic market will become available services ivi.ru, Megogo, Okko, Amediateka and others. There is no doubt that users consider not rethought Apple TV as a media player, but a kind of game console. Also on hand the console and have played plenty of casual games, the passage of which delivers many much more fun, rather than serious titles available on Xbox and PlayStation. 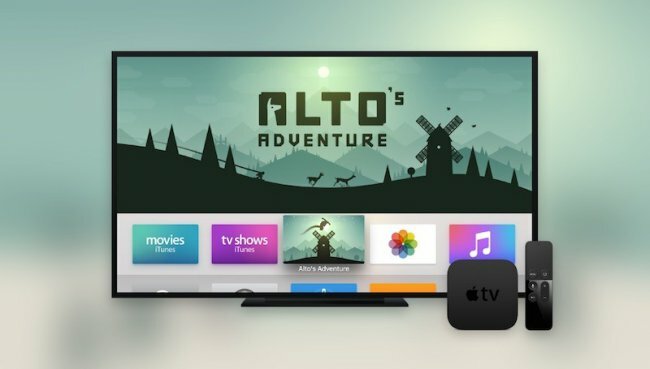 Such things can seriously affect not only promote the Apple TV as a relatively low cost device, but also to bring tangible benefits to the developers.